Stress urinary incontinence (SUI) has a reported prevalence between 12.8 and 46 %. There is no doubt that SUI has been shown to negatively impact the everyday quality of life (QOL) of the women who suffer from this dysfunction. The economic burden for the treatment of urinary incontinence has been estimated to be approximately 19 billion annually in the United States. Risk factors for the development of SUI include age, obesity, previous pelvic surgery, and childbirth. Surgical management of SUI is the standard of care once conservative options, such as behavioral modification, pelvic floor exercises, fluids modification, and scheduled voiding, have been exhausted. The surgical options have evolved over the last few decades to include the Burch colposuspension, periurethral bulking agents, pubovaginal slings, and the newest multitude of approaches for midurethral synthetic slings. The synthetic slings include retropubic, transobturator, and the newest additions which include the so-called single-incision slings. 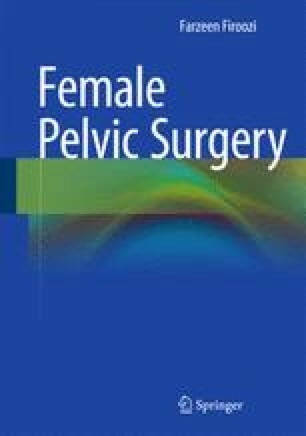 The aims of this chapter include the evaluation and management of SUI and review each of the surgical techniques currently available to pelvic floor surgeons.